Welcome to the Gulf Beaches on Sand Key, "14 Miles of Heaven"
We proudly welcome you to own "14 Miles of Heaven" here on the GULF BEACHES ON SAND KEY. 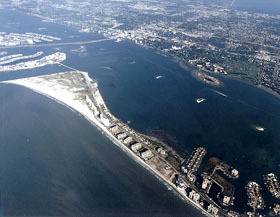 Our area located on the West Coast of Florida directly on the Gulf of Mexico brings SOMETHING FOR EVERYONE in nine beach communities. We are internationally known for our pristine beaches, fabulous food, and wonderful access to Tampa International Airport, the St. Petersburg-Clearwater Airport, Busch Gardens, and the NEW Florida Aquarium, Orlando, and the Disney attractions are just 90 minutes away. Day trips from our beaches to Universal Studios, Sea World and Cypress Gardens are very popular. Naturally, we offer swimming, water skiing, diving sailing, parasailing, shelling...just about everything you can imagine in the fabulous waters of the Gulf on white sandy beaches. Cruises of all varieties are available. Our cultural menu is world class from the Salivador Dali Art Museum to the Great Explorations hands-on museum for children. We have beautiful bike trails, tennis courts, golf courses and more for the active sportsperson. If you prefer to be a spectator, take in our hockey, football, basketball or baseball in the surrounding communities. Our beaches are just a short drive to the Thunderdome featuring professional sporting events. The most important asset is our people. They are friendly, helpful, and happy to see you and your family dining, shopping, sunnig or sightseeing. Share your vacation dream with us on the Gulf Beaches on Sand Key. You will agree it it 14 MILES of HEAVEN. 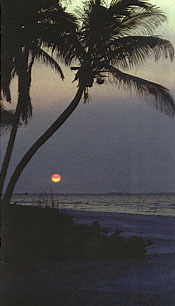 Fort Myers, Florida "The City of Palms"
Copyright 1994-1998 CocoNet Corporation. All Rights Reserved.